Fortunately Washington State voters made significant moves to make our society a little bit safer. “Washington state voters on Tuesday 6 November approved initiative 1639 with 60 percent of the vote, significantly strengthening the state’s firearm laws. “Over 25 years in Bronx hospitals, Dr. Marianne Haughey has lost count of how many people she has seen die from gun violence. It doesn’t stop — a child who found a gun at home, a teenager caught in the middle of a gang shooting, a store owner ambushed at work. The toughest part comes afterward, Dr. Haughey said. She sheds her blood-soaked scrubs, makes a mental note of the victim’s name and goes to tell the family. A neurosurgeon in Indiana shared a photo of a bloody bullet she had removed from the brain of a 6-month-old. A trauma surgeon in New Jersey posted a photo of a blue plastic chair she said she sits in when she tells parents that their child has died. An emergency care doctor in Louisville sent a photo of blood covering the floor beneath an operating table. The uproar highlighted the decades-long tension between gun-lobbying groups and researchers on the topic of studying gun violence as a public health issue. Under intense lobbying from the N.R.A., Congress in 1996 effectively barred the Centers for Disease Control and Prevention from researching the public health effects of gun violence. That measure, which still exists, came three years after a landmark C.D.C. study undercut a key N.R.A. mantra with its finding: A gun in a home does not make everyone safer. The N.R.A.’s scolding tweet to doctors this month came in a response to a position paper on firearm injuries and deaths by the American College of Physicians, which was published on Oct. 30 by the medical journal Annals of Internal Medicine. “Firearm violence continues to be a public health crisis in the United States that requires the nation’s immediate attention,” members of the American College of Physicians wrote, adding that restrictions should be lifted on gun-violence research conducted by the C.D.C. and other government agencies. In its tweet, the N.R.A. suggested that the journal — the peer-reviewed publication of the doctors’ group, which has about 154,000 members — and doctors involved in the paper were biased. Dr. Christine Laine, the editor in chief of Annals of Internal Medicine, disputed the N.R.A.’s statement. Many doctors shared a similar message to the N.R.A. 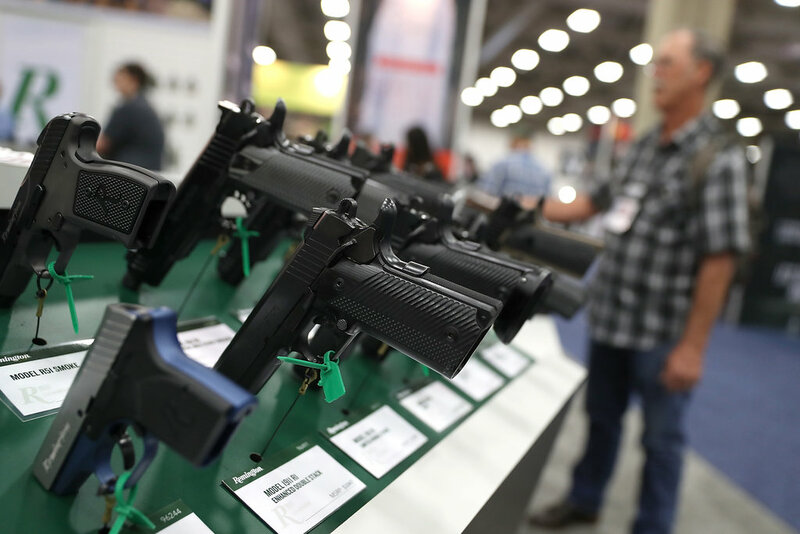 : For physicians who treat gunshot victims, the topic of gun policy is absolutely “in their lane.” More than 35,000 people in the United States are killed in firearm-related deaths every year, according to an annual average compiled from C.D.C. data by Everytown for Gun Safety, a gun control group. Dr. Robert Young, a New York psychiatrist who is the editor of the website for the group Doctors for Responsible Gun Ownership, said that the N.R.A.’s characterization of “anti-gun doctors” is correct. He accused doctor specialty groups of holding an anti-gun bias that trickles down into their medical journals. For years, Dr. Haughey said she struggled to understand any upside to allowing people to have guns. In heavily populated areas like the Bronx, it is too easy for an innocent person to be caught in crossfire or for someone to shoot into a crowd, she said. But at a recent conference for medical professionals, Dr. Haughey heard another doctor speak about how her father, who lives in a rural area, was attacked and the police said they could not get there soon. He used his gun to keep the assailant at bay, the doctor said. Dr. Haughey said she came away with a new understanding about gun ownership and the belief that the country could find middle ground between allowing guns and banning them. And to find a resolution, she said, doctors must be included. Previous Orcas thrive in a land to the north. Why are Puget Sound’s dying?